“Using Paragon’s routing and scheduling software and resource management functionality for dynamic planning gives our depot planners a great tool to produce efficient, compliant, delivery schedules that help us provide a better service for our stores. The pilot at our West Thurrock distribution centre resulted in a 5% mileage saving. We expect to save 5,000 tonnes of CO2 per year along with significant cost savings when we roll out dynamic planning across the network,” says Graham Leggett, Senior Transport Planner, Food Operations – Logistics Service. As the business increased the number of stores and opened up new, larger depots, it became clear that they needed a sophisticated software tool to maximise the opportunities for efficiency gains. “We service nearly 4,000 stores in all corners of the UK, making about 34,000 deliveries, on 9,500 routes using 1,300 vehicles, every week. Our fixed routes generally provide efficient schedules, but volume fluctuations make it a challenge to meet our stores expected delivery times while maximising our efficiency. Using Paragon route planning software with Paragon Resource Manager enables us to meet the challenge,” says Graham Leggett. Every night, the planners update driver availability using Paragon’s resource management functionality. This provides the planning software with all available drivers, their start times, the vehicles they can drive and their maximum shift length. Then they enter the actual store order volumes and apply the store delivery windows to each order. The system then creates the most efficient delivery schedule that meets the needs of the stores, while ensuring the driver and fleet resources are available to deliver the plan. The order information also updates the warehouse management system to enable the warehouses to pick the orders for the new schedule. “We are implementing dynamic planning at all our composite distribution centres before the end of 2012. They are Newhouse, Birtley, Lea Green, Andover and Huntingdon. 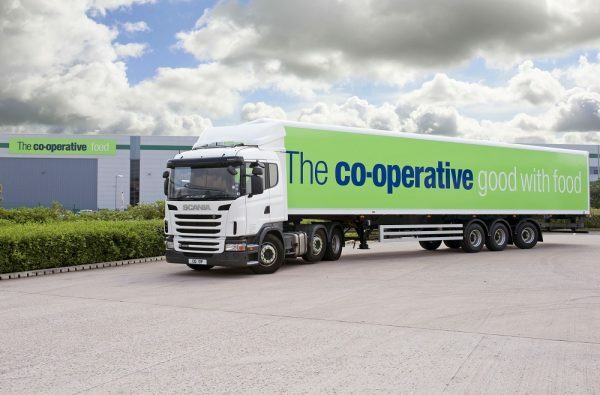 We will also implement it from the start at our new depots, Avonmouth and Castlewood,” concludes Antony Jowsey, Logistics Service & Scheduling Manager, The Co-operative Food.